What is Relapse – Why do people relapse and start drinking alcohol again? No matter how determined we are, or how much we want to give up drinking alcohol, sometimes we have a relapse and start drinking alcohol again. Does this sound familiar? 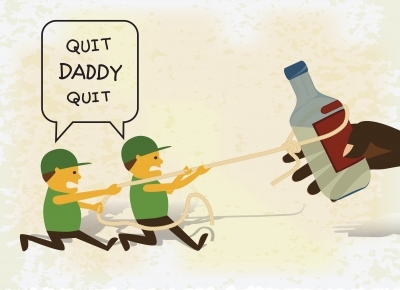 Maybe you can relate to this situation, when you were motivated to quit drinking for a while. But no matter how hard you tried, there is always some excuse for falling back into old habits with alcohol. Relapse is a very common problem, and many people who have given up alcohol find that they have a relapse and start drinking alcohol again. Unfortunately, there are too many stories of people who have suffered an alcohol relapse after years of sobriety. The signs of relapse can be hard to see, and there are very few obvious symptoms of relapse. It is important to understand what is relapse, and what to do about it. The problem with having a relapse after giving up alcohol is that when we rely on will power to stop drinking. And we use will power for relapse prevention, but often will power is not strong enough. No matter how determined we are to avoid drinking alcohol, there can be certain wiring in the brain which affects the way we think about alcohol. When we drink alcohol, the brain develops certain patterns and wiring to keep us drinking. Often these thought patterns are triggered by thoughts, events, emotions or suppressed feelings that we may not even fully understand. When these events take place, the brain is subjected to these old triggers, which sets off a pattern of behavior, or symptoms of relapse, which we thought we had eliminated. But it is vital to understand what is relapse, or at least the relapse warning signs. It is possible to give up drinking in the short term, but for many people, this does not necessarily convert into the longer term. Unfortunately, many people do the hard work to give up drinking, but inevitably succumb to the lure of having another drink. It is an unfortunate reality that after many years of drinking alcohol, the brain has developed a system of wiring and triggers about alcohol. What this means is that there are many triggers that our brain reacts to when it comes to alcohol, and we may not even be aware that it is happening. Giving up drinking can be a relatively simple thing to do. If you are a heavy drinker, it is important that you do not try to go cold turkey – please consult with a medical professional if you want to give up heavy drinking. No matter whether you rely on professional help, attend a rehab center, or give up drinking by yourself, then this can be achieved in a short time. With satisfactory will power and the determination to give up drinking, it is possible. What is Relapse like in the first 21 days? The most immediate hurdle is to overcome cravings for alcohol. Again, please consult medical advice before going cold turkey, as severe withdrawal symptoms can result in tremors, or even lead to seizure. Cravings for alcohol can last up to 21 days, but will gradually subside over this period of time. Be aware that if at any stage you succumb to the cravings, then the 21 day withdrawal cycle will be reset, and you will have to manage cravings for another 21 days! The problem with giving up drinking is that will power and determination to give up drinking may not be enough. Sure these factors are important to help achieve that goal. But the real issue is to stop drinking and stay stopped and for prevention of relapse. And that can take a little longer to achieve. The issue here is that we need time to re-wire our brain into the belief that we no longer want to drink alcohol. Giving up alcohol is a valuable first step. But the longer term goal is to train our brain into new thought patterns, and this takes longer. The path to re-wiring the brain is a literal minefield of triggers. There are unresolved issues that can pop up to surprise us at any time. Inevitably there will be some significant experience or unresolved issue that reminds us that we used to rely on alcohol as a solution to that old problem. These powerful triggers can re-emerge at any time, and cause us to relapse and start drinking again. Because will power may not be enough for relapse prevention. The time taken to develop new patterns or new wiring can vary from one person to another. It can depend on how long the pattern has taken to establish. It may surprise people to find that even 6 months after giving up drinking alcohol, there remain powerful associations with past behaviors. There may even be some handy tips here for how to help an alcoholic who has relapsed. Or maybe even recognize the signs of relapse. Trying to control everything is a recipe for failure. It is impossible to control everything, and simply not necessary. Learn to let go of control, and especially learn to recognize those things over which we have no control. If you are suffering in any way, and if you want to recover, then it is vital to focus on you. It is only necessary to focus on the things which you have control over. Everything else is a distraction to your long term health and recovery. It can be very liberating when you learn to let go of control. Here is another valuable piece of the recovery puzzle. It is okay to ask for help! Many of us have been raised to be resilient, responsible adults, who can stand on their own two feet. But that doesn’t mean that we shouldn’t ask for help when needed. This is not a sign of weakness, but rather a sign of progressiveness and willingness to get better. Some of us were raised with to do as you are told, or “Don’t ask” attitude. This never works in the long term, and there are times when it is okay to ask for help. Another tough lesson in life is learning to accept when we are wrong, and learn to move on. There are many beliefs and wirings in the brain which are not necessarily correct. We certainly believe them to be correct at the time. And in the absence of updated knowledge, we just go on believing. But we need to understand what is relapse when this happens. Sometimes it is necessary to update that knowledge, and the old beliefs. However, it can be quite stressful to change our old belief systems – are you willing to try? Don’t be stressed if life takes you on a new path, or a different journey than you expected. There are always new adventures to be found along the way. Life is a journey, and we never know exactly how it will lay out. Be prepared to have fun no matter which path life takes, because that is the best way to enjoy the journey. Have ever tried to give up drinking alcohol, or found that you suffer a relapse and start drinking again? Well don’t be too hard on yourself. Relapse recovery is simply a process to follow. Once you recognize the relapse symptoms and relapse warning signs. There is a way to recognize what is relapse and to learn about relapse prevention. We want to help you to stop drinking and stay stopped, click here to find out more! Let us help you to understand what is relapse. We can help overcome your issues and allow you to enjoy life to the full.